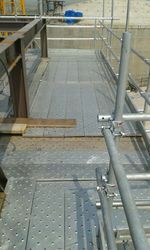 Our range of services include scaffolding contractors and cuplock scaffolding system. AEGIS SCAFFOLDING SERVICES PVT. LTD. a leading Scaffolding contractor from Mumbai. We have trained Scaffolders and Scaffolding Inspector in our company. We are registered with EPF & ESI.